Johnny's Seeds catalog is a free seed catalog that you can request to be mailed to your home. 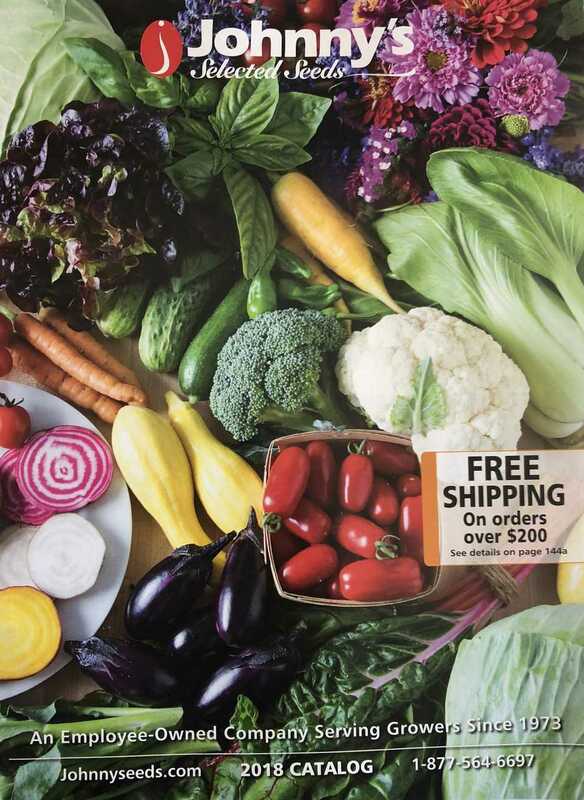 Inside the Johnny's Seeds catalog, you'll find seeds for vegetables, fruits, flowers, herbs, and crops. They also have organic and heirloom seed available. To order a free seed catalog from Johnny's Selected Seeds, you must first fill out the form on their Request a Catalog page. The form requires that you fill out your first and last name, complete mailing address for where the catalog should be sent, your email address, and your phone number. Note: You also have the option to sign up for their newsletters and let them know how you heard about Johnny's Seeds, but you don't have to sign up for those emails in order to get the free catalog. When you're done with the form, just click the Request Catalog button on the bottom of the page to immediately send in your request for the free seed catalog. Note: If you'd rather not fill out the catalog request form, you might instead be able to request the same catalog by calling Johnny's at 1-877-564-6697. Johnny's Seeds catalog is available to those in the U.S., Canada, Mexico, and many other countries. You can see the full list of countries in the form above, under the "Country" dropdown menu. If you don't want to wait to get your Johnny's Seeds catalog in the mail, or your country isn't listed in the catalog request form, there is a digital copy available online. To get the most updated online Johnny's Seed catalog, just visit the Request a Catalog page and use the "Johnny's Online Catalog" section to the right of the page to open the current catalog online. The controls for moving through the seed catalog are on the bottom of that page. You can move left and right with the arrows on screen or the arrows on your keyboard. Click anywhere on a page to zoom up, and you can then drag the mouse around for an up-close look at the text and images. You can also open the catalog in fullscreen mode using the menu at the bottom. If you'd rather view the catalog offline or print off specific pages out of the catalog, you can use the download button on the catalog's menu to save the seed catalog as a PDF file. Johnny's isn't the only free catalog you can request. You can also get seed, plant, and gardening catalogs from Burpee, Burnt Bridge Nursery, Brent and Becky's Bulbs, Bountiful Gardens, Botanical Interests, Bluestone Perennials, Baker Creek Heirloom Seeds, and Annie's Annuals & Perennials. See this list for dozens more. While you can most definitely order through Johnny's seed catalog, you can also shop from their website at Johnnyseeds.com, where you can instantly add items to your cart and checkout online like you would with any other online merchant. At the top of Johnny's website are menus where all their items are categorized. These include sections for vegetables, fruits, flowers, herbs, farm seed, tools & supplies, and organic seed. Within each of those categories are subsections to help you find specific things like strawberries, parsley, fertilizers, carrots, etc. When you're browsing through a list of results on their website, depending on the category you're in, you can filter the results by feature like Award Winning or Attracts Beneficial Insects, as well as by days to maturity. There's also a whole section dedicated to sale items at Johnny's.